Sign up for my Monthly Newsletter and Special Content below, and receive a free promo code for the first chapter of Cross, my YA Fantasy novel! The Reading Marathon Continues…Book 2 starts Friday, 11/16/18! We’ve had some amazing author takeovers and have more in our lineup. 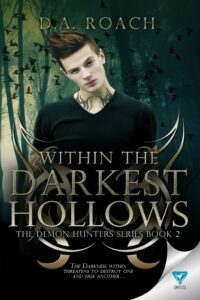 We’ll start reading book 2, Within the Darkest Hollows this Friday. It’s an amazing Paranormal Event and it’s not too late to join. Previous Previous post: Paranormal Lovers…Giveaway Alert! Next Next post: Ready, Set…GO! 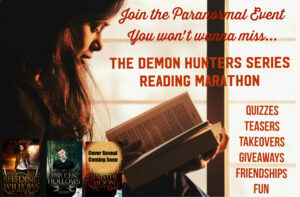 Time for the 2nd Leg of the Demon Hunters Reading Marathon!